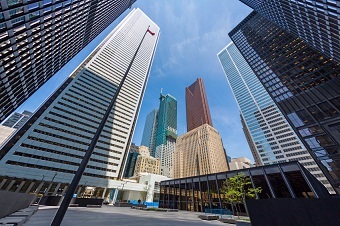 The Ontario Securities Commission’s (OSC) imposition of a multimillion-dollar penalty on Royal Bank of Canada (RBC) has made it official: all five of Canada’s biggest banks have admitted to charging their clients excess fees for investment products like mutual funds. The settlement, which has RBC reimbursing $21.5 million to affected clients and paying $975,000 to the OSC for investigation costs and other charges, is the latest in a trend of similar findings and penalties that has been ongoing for the past few years, according to CBC News. While in all cases, the banks paid back the money and the OSC found no evidence of dishonest conduct, one critic has chosen to see the trend as a symptom of a broken banking investment industry. “Every [big] bank was doing it. It's not like this is a one-off,” financial advisor and banking industry critic Robb Engen told CBC News. According to him, lack of oversight of investment services at banks could lead to investor clients being overcharged to increase profits. The series of confessions started in 2014 with TD Bank, which came forward following OSC staff allegations of inadequacies in the bank’s controls and supervision system. At the time, the OSC said those gaps “resulted in clients paying excess fees, which were not detected or corrected in a timely manner” — a problem that had been going on for over a decade at the time. TD agreed to a no-contest settlement, paying more than $13.5 million to clients who were overcharged. Scotiabank, Bank of Montreal (BMO), the Canadian Imperial Bank of Commerce (CIBC), and RBC followed suit with similar admissions. Engen said that it was no accident that all the big banks did it. While the banks would never condone intentional overcharging, the lack of oversight and the fact that investment advisors operate in a fee-based industry could make it very tempting to charge customers excessively. “The incentives are all aligned to the industry and how to make the most money from an investor's portfolio. And it's really sad to see,” he said. With better technology and tighter scrutiny from regulators and the media, the big banks had more motivation to do internal investigations and self-report. “That internal due diligence check was what caught it," he said. For Glen Rankin, a financial advisor at Assante Wealth Management, the big banks’ self-reporting following the TD Bank revelations is a good sign. “At least they're coming clean and showing that they have good intentions and they're trying to fix the problem, not hide the problem,” he said.